I will forever associate 2010 with Zoya's Sparkle collection. This jelly base/foily glass-flecked finish was insanely popular that year, with other brands also jumping on the bandwagon. If I remember correctly, Zoya was the first to release a full collection with the finish. Most of the polishes are opaque in three coats due to the watery jelly base. I recommend applying thin coats and waiting between coats to dry for the best results. Nidhi is the outlier of the group, due to its opaque creme base. 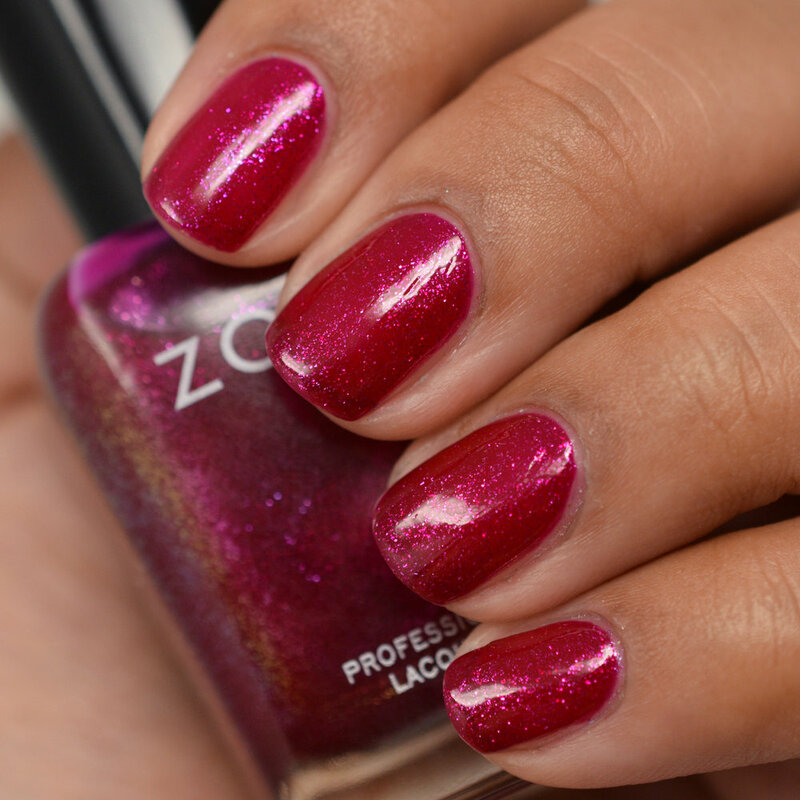 Like the Gossip collection, all of the Sparkle polishes are still available on Zoya's site.